How great is that? I’d never really given it a lot of thought, but when I saw this I realized that I haven’t seen colored toilet paper in ages. When did it go out of style? I did some quick research, and discovered that after its heyday from the 50’s through the 70’s, it started to lose favor because of the dyes perhaps posing a risk to the environment, and because it cost more to produce. So sad, I didn’t realize I missed it until I saw some in my local grocery store. no? That’s a whole ‘nother story for another day….) apparently passed the environmental protection censors because it’s all for a good cause — finding a cure for breast cancer. I’m sure it’s all biodegradable and healthy now, so don’t worry. In my research I’ve discovered a whole new world of toilet paper aficionados — blogs, and web sites, essays and articles. TP is a bigger deal than I thought! By the by, aside from Wikipedia, your one-stop shop for TP talk would probably be Toilet Paper World (glow in the dark toilet paper, anyone? Got some Christmas gifts to buy?). For me, this product gave me an oddly nostalgic pleasure, just for a moment. 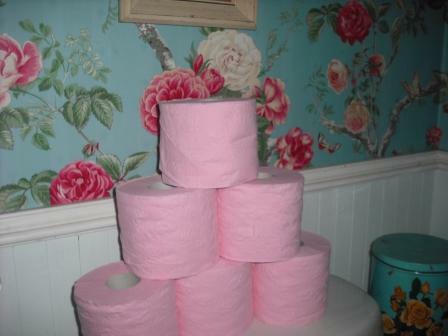 I was talking on the phone to a friend while I was shopping, and when I mentioned the wall of pink toilet paper, she said that she’d had the same reaction when she’d seen it in the store. It spoke to me. I was happy to pay for it, and took it home. Once home, though, that frisson of nostalgia petered out. I’m not entirely keen on the particular shade of pink, to be honest. And it kind of looks, well, weird. Nostalgia, in fact, may depend precisely on the irrecoverable nature of the past for its emotional impact and appeal (cf. Linda Hutcheon in this essay). It’s weird to be nostalgic. I don’t feel old enough to be nostalgic, but I guess I am. Besides, it’s not really a function of age, is it? It’s more about the signifiers, iconic images that point to moments in our lives. The following cavalcade of images represents signifiers that make me feel a frisson of nostalgia. Like the toilet paper, it would probably be a bit of a disappointment if they actually reappeared. Let’s keep them all safely in the past, where they will continue to give me pleasure. We had one of these... wonder where it went? I remember we had one of these. In 5th grade I typed a project on “Australia” with it. 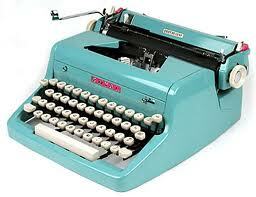 It had a case (this is not the exact kind, but I remember it was robin’s egg blue), and you could carry it around. I loved this typewriter, and even though I failed typing class in high school (sigh) it certainly didn’t hurt that I’d learned where the letters were by 5th grade. Remember this? I once, over the course of a hot summer afternoon, drank an entire case of this stuff (with the help of my friend Trudy, by the way — not all by myself). That was back when you slathered yourself with baby oil and baked yourself in the sun. Good times, good times. 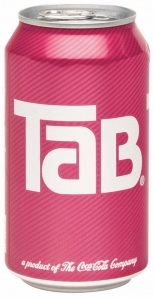 This particular can doesn’t show it, but remember those cool push top cans? They had two little push buttons, and they were great. Probably a choking hazard. 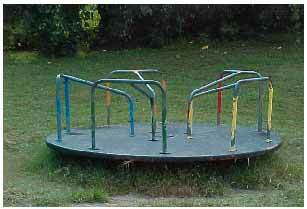 In fact, I remember opening one with my teeth while on the merry go round in the local park. We used to make that thing go so fast we were in danger of flying. It was a lot of fun, but probably banned now, along with those push button can openings. And these! Oh, remember these? 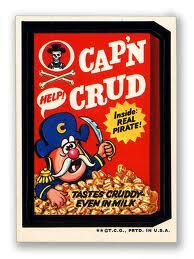 Wacky Packages! If I recall correctly, I had a large collection of these stickers on the headboard of my bed. I’m sure that my mother was happy about that. There was a lot of great candy, back in the day. I ate it while watching the Shazam/Isis Power Hour. 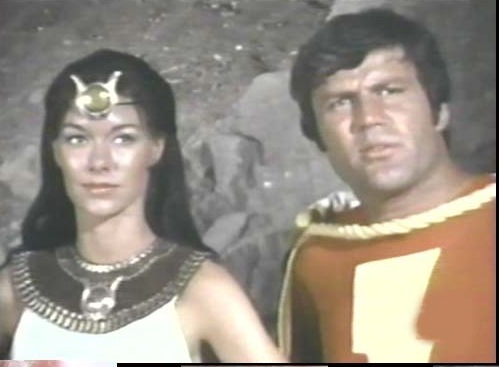 Anyone remember what “SHAZAM” stood for? Solomon, Hercules, Atlas, Zeus, Achilles, and Mercury. mentioned Gods. Isis was an ancient Egyptian superhero who was, for some reason, a school teacher in the modern day (I had to look on Google for that part — couldn’t remember it). I don’t like nostalgia, unless it’s mine. Leave it to you Joan to bring back memories of our past, The good old days 😀 Thanks Joan.